$50 provides a week of safety, rescue and care for a woman or child enduring the dangers of Mumbai's red-light districts and relocates them to a safe home, where they will receive shelter, food, clothing, medical care, counseling and education. Give today and your gift will be matched! 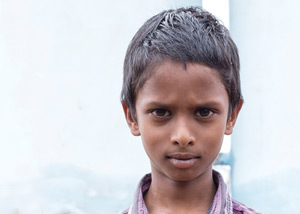 $25 provides one month of quality education to poor or orphaned children in India. The children are often marginalized because of their extreme poverty and lack the money to attend a good school, let alone afford basic essentials. You can send children in India to school and help them develop intellectually and creatively in a safe learning environment. With a good education, these children will have an opportunity to pursue careers and contribute back to their communities.